FOR many Queensland students graduating from high school, a trip to the Gold Coast to revel in Schoolies celebrations is often seen as a rite of passage, a way to properly say goodbye to life at school. But for many students, the changing face and image of Schoolies Week has made them question whether or not it's worth it to make the trip at all. "There are a number of reasons I don't really want to head to Surfer's Paradise," says Year 12 Victory College Student Jemima Wood. "But the main point is - I'd actually like to remember most of the week." Concerns about an increasingly expensive and dangerous week have led a number of Queensland graduates to celebrate elsewhere. RELATED: Schoolies drug fear: Teens could be wiped out by "N-Bomb"
"I know mates who are going to be spending thousands of dollars to be put up in a ritzy hotel for the week," says student Louis Ludike. "I just think that money could be better spent, I'll just be going on a little road trip with my mates instead." Schoolies celebrations run from November 19, with around 30,000 registered attendees. More than 90% of registered graduates will be heading to the Gold Coast, with smaller events taking place at Byron Bay and the Sunshine Coast. Despite an increase in police and security patrols, the week still has a reputation for underage alcohol abuse and the consumption of illicit substances. It's prompted a number of support groups, including Red Frog and headspace to issue safety tips for party-goers. Topping the list of concerns were heatstroke, exhaustion and substance abuse. Those who aren't heading to the "mainstream" Schoolies Week will be looking to enjoy the end of high school their own way. 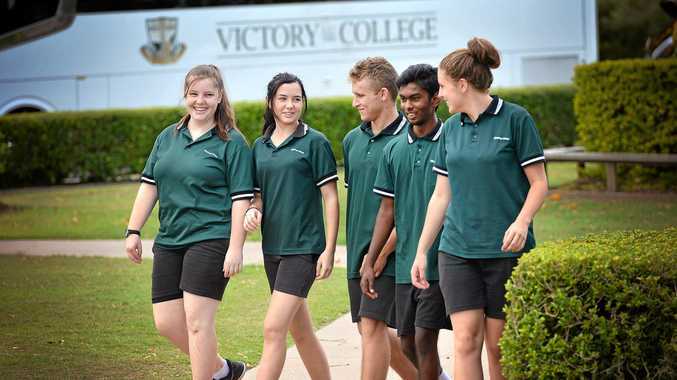 Heading to Hervey Bay, Rainbow Beach and even overseas, the students at Victory College are hoping for a more personal touch. "It's about creating some lasting memories and a chance to hang out and relax," Laura Wacker says. "For a lot of us it means one of the last chances we might get to see each other regularly - I really want to make the most of it." Schoolies drug fear: Teens could be wiped out by "N-Bomb"